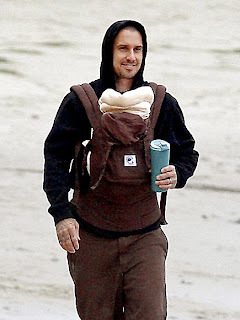 Carey and his new born baby girl take a stroll on the beach in Malibu, him and his wife pink welcomed their new bundle of joy just one week ago. "Jenny from the block" Jlo sporting a casual sweat suit looked like a regular Puerto Roc from the block indeed. That's a good look she still looks good. Joy Bryant at an event in Miami this week. After her Event Joy relaxed at the beach, off course if your in Miami why not rock a swimsuit a cocktail and a pack of smokes. She looks great in her two piece (not mad at her).